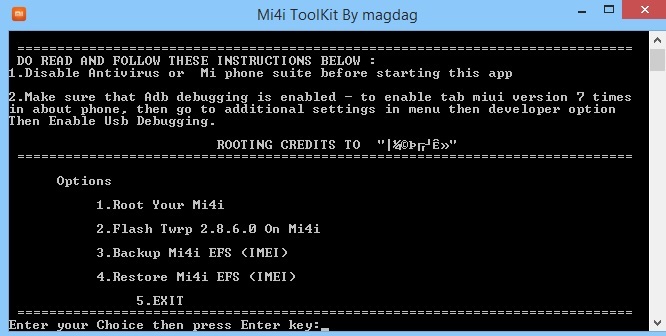 Few days back we shared a guide how to root Mi4i with a one click tool. 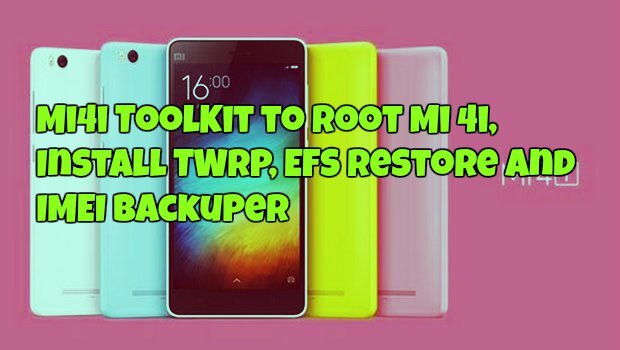 Now here we are sharing a new Mi4i Toolkit, which allows you to root your phone, install TWRP recovery, take IMEI backup and restore EFS. Mi4i is the latest android smartphone form the Chinese company Xiaomi and already released in India. And most of the Indian users already bought the device from the online retail shop Flipkart and enjoying the same. If you are the proud owner of the latest Xiaomi device and want to root you phone. Rooting has lots of benefits, once the device is rooted you can install lots of tweaks and mods, install custom ROM etc. Here in this tutorial we’ll show you how to use this tool and install TWRP and root the phone. The guide is pretty simple and all you need a Mi4i Toolkit on your windows and you can perform all this task easily on your phone. This guide is only for he Mi4i users and don’t try this guide on any of other Xiaomi devices. Do take the backup of your phone, coz this process will wipe your data. Before following this guide make sure that ADB drivers are installed on your windows PC. Check out our guide here to setup and install ADB drivers. Once the drivers are installed on your PC, download the Mi4i Toolkit on your windows PC. Extract the folder on your desktop with Winrar tool or WinZip. In the folder, you will see an exe file which you have to run on your desktop. 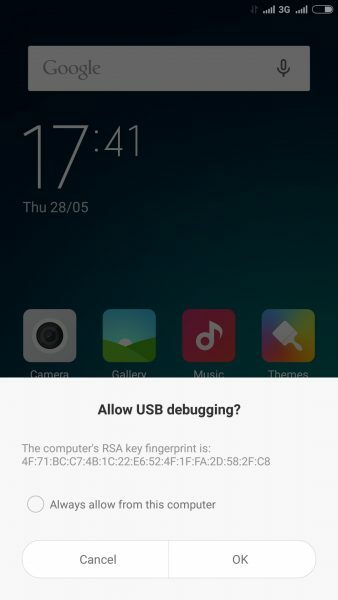 Now enable the USB debugging mode on your Mi4i smartphone. To do this Go to settings > Go to About Phone > Tap several times on MIUI version > Developer mode enabled. Now run the Mi4i Toolkit.exe file on your desktop and you will see a command prompt window on your screen.From here first you have to install TWRP. Enter the 2 number on the windows and hit enter, now the TWRP will be installed on your phone. Once the TWRP is installed, enter the 1 to root your phone. The rooting process will start on your phone and this will take some time. Once the phone is rooted, disconnect your phone and reboot it. Now you have the rooted Mi 4i with TWRP recovery. the zip is corrupt.. please upload new one.. The phone is stuck on waiting for device.. I have turned on USB debugging on my phone and it seems the driver is working properly since after a normal reboot I can see it easily on my explorer as mi4i. It also doesnt ask to confirm the RSA key fingerprint on the phone :/ weird!